More like a vinny Jones fan. 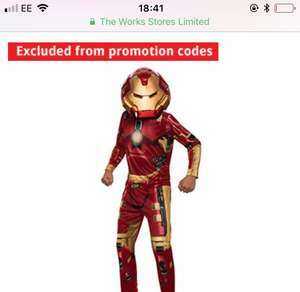 Avengers Vision costume still available though. Check marvel section. It’s not iron man for those that are interested It’s false advertisement. I bought 4 in two different orders and in both I receive hulk smasher costumes. It’s not iron man for those that are interested It’s false advertisement. I …It’s not iron man for those that are interested It’s false advertisement. I bought 4 in two different orders and in both I receive hulk smasher costumes. Looking at the picture it appears to be the Hulkbuster suit from Age of Ultron. Still technically Iron Man but bit traditional Iron Man that most kids would be expecting. This post was marked as expired on time posting my OP. Moreover was edited and bring to live after posting my OP as well.